Twickenham Ladies that is, not the antediluvian old buffers (I'm being kind about them for once - it being a new season and all) with the big stadium - or the hard-working denizens in the car park come to that. No, a deserved shout-out is due to the aforementioned club who are justly proud of an excellent new website that they've just launched - http://www.tlrfc.co.uk - which for clarity of design, fun, and general all-around neatness beats most other club websites I have seen (male or female). Admittedly a cool website does not necessarily guarantee a well run or successful club nor, come to that, a website that is updated regularly - which in the end is point of it all. There are any number of rather pretty sites out there from teams that either no longer exist or haven't bothered to update their site for years (Gateshead for instance) which does make things a bit pointless. However, good design is a good start - so hopefully Twickenham will go from strength to strength (maybe setting up a junior section, perhaps?). One interesting little feature worth highlighting is their "players" page, which has brief pen-portraits of (all?) the squad. Its a nice idea as it both makes the players seem like "ordinary" people (rather than the image many non-players may have) and also makes them approachable. Joining a new club - even a new sport - is hard, so anything that makes that first step easier (as this does) is a good idea. Certainly its a better design job than another new site - Ladies Rugby (http://www.ladiesrugby.org.uk/) - which aims to provide information on the (adult?) game across Britain (by the look of it as it includes information on Scottish and Welsh trials - but only English premiership club fixtures). Its a good enough idea, but at present contains little (well, nothing) that could not be found on official sources - let alone Women's Rugby Review. I also know that a lot of sportswomen tend to dislike the term word "ladies" (though I have never understood why). Still, early days. It was Registration Day, Captain ...but not as we knew it! Today was registration day for all minis and juniors at the Letchworth club but, thanks to Danny and the Minis section, it was a bit more fun than that name suggests. Firstly, there were several stalls ranging from 'Guess the age of the tractor' through candyfloss and burgers to a bouncy castle. And then there were various competitions and other fun events like the water slide to try. Registration Day may never be the same again. Its not exactly been front page news so let's record a word of praise to the England team who finished a highly successful summer with a 24-0 win over Canada at Esher last night. This was England's second win over (arguably) the world's third best international formation* in a week, following on from the 43-9 win last Sunday which allowed England to lift the first Nations Cup. The USA were also beaten 50-3 and 17-14. Throw in the FIRA European Championship back in May, as well as the European and Home Nations Sevens titles (plus those sevens wins over New Zealand), and its been a pretty impressive performance by our leading players. Never has such a sustained period of international sporting brilliance attracted less media coverage! *Unlike the men's game there is no official world ranking for women's rugby - who knows why - perhaps the IRB can't be bothered, after all they hardly bust a gut when it comes to even listing women's international results (the "complete list" on their database has only around 700 matches missing...). However, looking at recent results I reckon its possible to come up with a reasonable stab at a top 10, which may be of some interest. Well, "flood" is slight exaggeration, but Lisa from from GGR told me this evening that already a third of the places in the tournament have been filled... and that is before it has been formally advertised! These entries have just come from clubs picking up news from this blog, or other "word-of-mouth" sources. Amazing for a tournament for which we were assured by the RFUW that there was no interest! Impressive stuff - shame that it rather skates over the truth. I won't go into too much detail as I covered this last month but the IRB's desperation to get into the Games could be an opportunity for the women's game. It just needs someone from women's rugby to stand up to their Union or the IRB and point out to them that, until the game starts matching its fine words with actions (and that will just be a start), there is no chance for rugby to join the world's greatest sporting festival. My concern is that too many women's rugby administrators seem to be too easily pleased by whatever scraps their union or the IRB allow to drop from the table. The Olympic bid gives them a stick to wield... should they have the courage to use it! Did anyone make it down to Esher for the Nation's Cup? If not never mind - because thanks to Put Me In Coach you can watch highlights of the dramatic 17-14 England win over USA below. England went onto beat Canada as well to win the cup, Canada finishing second. The youtube player is lower fidelity, but will start playing quickly. The podbean player will you you nice high fidelity, but takes forever. Download the full match here, in it's entirety. Be forewarned, its a 441 meg file - you are on your own for download support. Guinness have launched a FREE fantasy rugby game associated with the men's Premiership, which they sponsor. Go here to enter your team. There is a "lucky dip" option when you first set your team up so you do not have to spend hours choosing the team or have to worry about your lack of knowledge about the men's game. In addition, if five or more of you are interested we can have a mini-league of our own.. I've set one up called "Letchworth Girls" (password "Legends"), so if you enter a team remember to join this league too. Oh - and one other thing... if you need any incentive the winner of the fantasy league gets £5,000. I've just arrived back with a fair bit of stuff to catch up on for the blog, but the main thing is to remind everyone that we have registration this Sunday at 10.00 (plus, presumably, training) so please arrange to bring along a parent or somesuch other person in possession of a cheque book. Registration is kind of important. Not only does it provide the club with money to use for the 1001 things needed to keep a club like Letchworth going, but if you are not a member of a registered club then you are uninsured for training and matches, and would therefore not be eligible to play rugby at any level for anyone - including county and region. On the subject of which we'll also have the registration forms for the Herts county trials on the 14th. If you are interested in trying out for any county other than Hertfordshire please let me know so that I can track down the details. Meanwhile the club has just published its first newsletter of the season, which includes a promotional bit on us. Its not on the main club website at the moment (well, not that I can find) so if you haven't seen it yet click here. The Cook Islands are possibly the lowest ranked of all women's rugby playing nations - no test matches or sevens internationals yet, but the game is developing with games between "town" and "country" attracting "small but loyal" crowds to the national stadium. However they do already have one claim to fame in the shape of the star player in the Town team - indeed she can possibly claim to be the biggest name in world women's rugby. Can you imagine some TV commentator trying to cope with that? "Its better to miss one game than the whole season"
This is the central message behind and superb resource produced by the American Centers for Disease Control and Prevention (CDC). CDC has produced a whole package of advice leaflets, videos and guidance on dealing with head injuries and suspected concussion which they are sending free to all US High Schools - but fortunately for us it is also available free online. Take a look at it. This is not just a rugby matter - head injuries can happen in any sport or activity - even falling out of bed! Such a clear describtion of the symptoms could be invaluable. As you start training tomorrow I should be getting on a ferry somewhere, so for the next couple of weeks (aside from a couple of scheduled articles) its over to Mike to keep this ticking over. The Rugby Football Union is reviewing its Strategic Plan and is inviting everyone involved in rugby union in England to make their views known on the direction of and the priorities for the English game over the next eight years. The RFU want to know if the 2005 objectives are still appropriate, and consider any new areas that should be included in their long term planning. As surveys go its impressively long - its unlikely that anyone could the whole thing in one go - but its worth spending some time on it, if you can. Basically the survey is so long very few people will fill it in, so anyone that does complete the survey will have a disproportionate influence on the final report - so its a great opportunity to make a few points about the special needs of women's and girls' rugby. For instance one priority is to "Maintain the Ethos and Culture of our game at all levels as a differentiator with other sports. The Ethos and Culture of the game of rugby union separates it out from many other sports. It is essential that we maintain these values at all levels of the game. They provide a key marketing message for us to attract new participants, be they players, spectators or Volunteers." This rather self-satisfied priority obvious expects a resounding yes - but it could be argued that it is this very "ethos" and "culture" that results in much of the discrimination that women and girls face. Many aspects of the ethos of the game may well have a lot going for them, but when it comes to women's rugby the attitude of, well, rather too much of the game is pretty appalling, and this is a great opportunity to tell those who run the game how it needs to change. I suggest you therefore say "no" to this, and explain why. The online survey can be found at rfustrategicplan.com. The RFU say that any responses will be thoroughly reviewed and analysed, with major common themes incorporated into the new Strategic Plan - so the more people who send in responses that highlight the problems the women's game faces the better. Last month the post of Head of Development was advertised (as mentioned in a previous article), and it has now been announced that Guinness Premiership Referee David Rose will take on this £40k per year post from September. Rose's post is a new job (which RFUW press releases seem to confirm that it is not Carol Isherwood's old post, as some have speculated) is to ensure that women’s and girls’ rugby becomes a fully integrated part of rugby in England. He will have to work closely with the RFU, Sport England and other bodies to to ensure that there are as many opportunities as possible open to women and girls to play rugby. As well as being a referee David Rose is also currently the RFU's Midlands Referee Development Manager and he has also worked for the IRB as a Regional Development Manager, the National Coaching Foundation as a Coaching Development Officer and as a Youth Development Officer for the North Midlands Rugby Union. There is hardly any part of the domestic game that David will not be in some way responsible for - including the "integration" with the RFU, a task which it is all the more important he gets right now that we know the role that the rulers of men's game see for women. Its going to be a tough job. However, maybe he can start by finding out how much of O2's new £16,000,000 sponsorship deal with the RFU will be coming to the women's game (after all, the England Women's team will be wearing their shirts). The RFU press release is a little quiet on the subject. Despite RFUW's cancellation, these WILL now be a National 10s in the forthcoming season! RFUW have not changed their mind - despite protests - but that will not stop one of junior rugby's most popular events, and now Gloucester Girls' Rugby and Hartpury College have agreed to work together to organise a replacement event on the weekend of the 18th/19th April. The new National 10s will be bigger and better than ever before. Up to 16 teams will take part in each event, instead of six. A two-day festival of girls rugby is planned, with the U18 event on the 18th and U15 event on the 19th - and plenty of entertainment in between! National 10s promises to be the biggest and best festival of girls' rugby ever held in England - and Letchworth will definitely be there. Clubs will be contacted shortly, but in the meanwhile anyone reading this should visit the GGR website or contact Lisa Walsh of GGR (lisawalsh07@btinternet.com) for more information. RFUW have said (though they haven't actually publicised it yet) that funding has been put aside for clubs to put on regional 10s competitions. Clubs interested in running a local 10s should contact their WRDM (who hopefully will have been told about it) - we will be. Due to popular request, and now that most key people are now back, it was agreed tonight to start training from this Sunday (17th August), at the usual Sunday time (ie. 10am). We'll also start Thursday training from the following Thursday (21st August), again at 6pm. These times will apply to all age groups - there is no need for separate session as there cannot be any contact work until September. We are anticipating starting with more U15s this season so separate sessions may be possible once the season "officially" begins (ie. September) - watch this space. Fixtures are looking good for next season - a few gaps to fill, but pretty much every available weekend before Christmas is already accounted for. encourage anyone you may meet to come along... we still have a few boots to fill after last season! Picking up from the previous article on regional rugby, the correspondent who prompted the article also asked "would you have a proposal that might be better?" For a small sport this is an incredible, even ridiculous, number. What is more the tiers do not run alongside each other, but dove-tail into each other, so a girl who is in the TDGs also benefits from regional and county rugby, whereas a girl falling just outside the structure does not benefit at all. In addition the terms are hardly well defined - in particular what is meant by "development level" is open to an extraordinarily wide interpretation, to the extent that in practice it is meaningless. And finally the actual function of each tier varies across the country. In Hertfordshire county rugby has been a pretty elite in the past, but in other parts of the country (where the club game may be less developed) the county team is the only way that girls get to play. The system is therefore inconsistent - a player who in one place might barely beyond county level elsewhere might get as far as the HPAs. Temporary combinations of clubs, agreed by CB, allowed up to county level if there were insufficient players at individual clubs. The aim would be to guarantee that any girl wanting to play would be given an opportunity to play regardless of ability. In areas where the game was insufficiently developed there might be combinations of counties for an interim period. to allow talented girls to be identified for the elite level. By having this tier based at county level potentially most training and team development could happen midweek, thus reducing still more the need to set weekends aside for representative rugby. An open training policy - much as Hertfordshire are likely to have this year - would also potentially remove the need for selection weekends. Run on the same weekends as representative rugby. As mentioned in the previous article, it is debatable how valuable regional/county level rugby is to the development of potential England players. Initial selection over the preceding summer - though players might be dropped to or promoted from county level during the season. So there we are, anonymous correspondent. I do not expect for one moment that RFUW would take a blind bit of notice of this - and I would not suggest that this is perfect - but I would still suggest that the result of my back-of-an-envelope few minutes of thought would be far simpler, would require far fewer weekends to be set aside for non-club rugby, would allow more girls to benefit from representative rugby, and would improve the development structure of potential England players. Feel free to suggest alteratives. "the dire state of grass roots female rugby and the detrimental effect on it of the Regional programme". 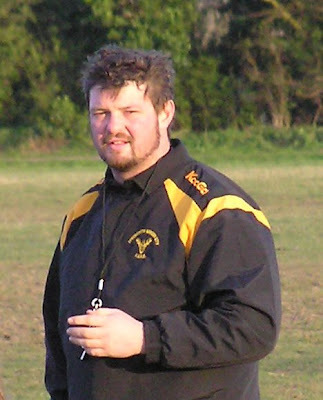 "how it [regional rugby] has had a detrimental effect on grassroots? It's a genuine enquiry...what was the effect, also, what aspects of the program caused it? Could I also ask, would you have a proposal that might be better?" The relative strength of girls' club rugby in some (but, I grant, not yet all) areas of England is surprisingly new. Most of the club tournaments that we take as permanent fixtures in the calendar - Rochford, Dorking, Herts 7s, Beckenham, Worthing, etc - are, in fact, less than five or six years old. "Long established" girls clubs are rarely any older. 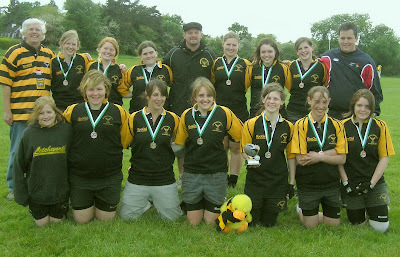 Prior to around 2003 the world was a different place and regional programme was an essential developmental tool - the only means for many girls to play 15-a-side rugby. In many regions (including East) barely enough girls turned up at regional trials to make up a squad, so any competent players could realistically expect get a chance to play for their regional team. Thus the programme kept girls in the game, and made a valuable contribution to the development of both the game, and individual girl's, rugby. Today - in many areas - things have changed. Most girls do not play regional rugby - indeed pre-selection at county level means that most will never even attend a regional trial. Regional rugby (still theoretically a "developmental" programme) is, in practice, an exclusive and elite activity and, for the majority of players - the grassroots - it is irrelevant to their personal development. At best this means the programme can only have a neutral affect upon grassroots players - you cannot, after all, benefit from something you do not take part in. The question is whether it its effect is a negative. I would agree with Anne that it now is. An initiative that used to provide the only means most girls had of playing the "full" game today, in practice, stops most girls playing. Although the regional programme only includes a minority of players, it does pull around 600 girls out of club rugby each weekend. We are not yet a big sport and that is a significant proportion of the games playing strength. Even the biggest clubs have, in practice, only just enough girls to field a full side the loss of one or two girls is normally enough to prevent them (and if not them then their opponents) fielding a team. Even if that were not the case, the sheer uncertainty about who or how many girls will be selected (regional squads not being announced until February) prevents any effective forward planning at club level. No fixtures can be made, no tournaments planned, until clubs know who is picked and who isn't. This is not just theoretical. Changes to the regional programme last season, and last minute extensions such as Super League, were enough to halve the number of entries at the Herts Sevens, turn the end of at least one club league into a bad tempered farce, and impact on entries to the regional 10s (a fact that was then used as an excuse to cancel the event this season!). None of these could remotely be classed as "neutral" leave alone beneficial! All this is compounded by the rather obvious fact that the players taken away by region are the best players - the players who are often the centre-pieces around which teams are built, the players who have most to offer. Rugby is a team game, and a successful team is more than the sum of its parts. Their loss for such a large proportion of the post-Christmas season is therefore out of all proportion to their numerical absence. Admittedly those that take part do gain from the programme (well, most of them - I know that one or two of our girls would dispute that). The programme itself is an important part of the player development pathway that leads to the England team. Without it England would perhaps not be as successful, and a successful sport attracts players*. Furthermore Sport England grants are largely dependent on international performance (it is a curious fact that participation counts for less when the money is handed round) - and that is the pressure that headquarters probably feels most. But do these positives felt by the minority balance out the negatives felt by the majority? I do not believe that they do - and for one important reason. The best players in the world have to start from somewhere - they have to be discovered somehow, given their first chance to play by somebody. And those "somebodies" are the clubs - the grassroots. A programme that impacts negatively on clubs will, in the long run, impact negatively on England too. Incidentally, I know that there are all sorts of initiatives planned by many counties this season to counter the effect of the regional programme on those not selected, and the effort put in by those who run these programmes is brilliant... but in a way it merely confirms the fact that the regional programme is damaging. Counties would not need to have to rush in and rescue the game if regional rugby were anything else. "Its easy to criticise - would you have a proposal that might be better?" Yes, actually... but we'll leave that for another day. *Actually, in truth I am being quite generous here. Fact is that the U20s are the main route into the England team, and they are still run from open trials with no actual requirement to have played regional rugby in order to attend (though it is recommended). It would be interesting to know how many England players (U20, A or full team) have been "discovered" or "developed" by regions who would not otherwise have made the grade. Some have played region and gone onto greater things, but in all cases I know of their talent was already well known - Emily Scarratt, for instance. 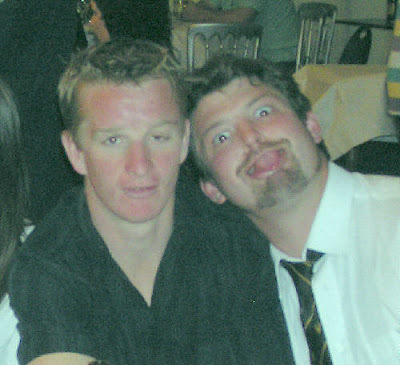 Indeed in the case of Emily I always got the impression that here was a player who was clearly too good for regional rugby - she never seemed fully engaged by it, almost seemed bored at times, turning on the genius when needed but otherwise proceeding on automatic. She (and other U19/U20 girls at region) often looked to me like someone who needed something much more exacting and testing. I might even go so far as to say that regional rugby not only fails the grassroots players by being too elitist, but also the future England players by not being elitist enough! - and he devised, organised and ran the Letchworth Schools Tag Rugby tournament which involved over 500 9-11 year old girls and boys at 6 different schools being trained and culminated in a 4 group, 28 team tournament at the Letchworth club in July. The feedback from all of these events has been great - the students, teachers, parents and sponsors have all let us know how successful they felt the events had been. So how do I sum up Simon? In Simon I see what I should have been more like when I was younger (... er, quite a lot younger in fact). I suppose I'd sum him up by saying that he is fun, honest, caring, generous, charismatic as well as being a complete looney ..... oh heck, he's just a really good bloke and the best mate you can have. Today, Wednesday, I took Simon and Kirsten to Heathrow airport to catch their flight back to New Zealand. I'm really going to miss them. Fortunately, I won't have to miss out on the infamous text messages - I get more messages from Simon than from everyone else put together - and I'm hopeful that, eventually, I'll be able to understand one. To Simon and Kirsten, I say "Thanks for everything you've done for us this year" and "Good luck" in everything you do in the future. I really hope that we will see you back in the UK before too long for there are many, many people who will miss you. Otherwise, we'll be coming out to Christchurch to find you! No, not Letchworth (oddly enough) but the England U20s, Nations Cup holders and unbeaten by any other national team since... well, quite a long time. I mention this because - unlike the U18 TDGs - the trials for the U20 squad are open, and moreover open to any players over the age of 17 (on or before 31st August 2008), so it actually overlaps with the TDGs, which is odd - you think they'd select the 17/18 year olds from the TDG girls... why have two separate processes? Anyway, for the more ambitious amongst you who are not otherwise engaged, the first round of trials for the England Under 20s squad take place on Saturday 6th September 2008 at RAF Halton, Aylesbury (so not too far away either) - click here for directions. Fifty players will then be selected to play in two trial matches, on Sunday 28th September and Saturday 18th October - both at Birmingham University. Does this show where the RFU think girls should "fit in" - sitting down watching the boys? "New town. New team. New mates. Same 19th century attitudes." Bear with me on this because actually the Play On initiative does have some potential - but, before we get onto that, a question. Just what century does the RFU think we are in? 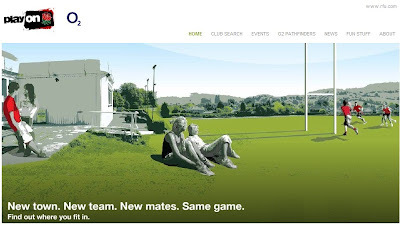 Amazingly the above image is not something from the 1960s - this is the front page of the new website (http://www.rfu.com/playon/default.aspx) launched in the last few weeks to promote the RFU's new "Play On" initiative. They say that a picture is worth a thousand words - well in this case it says more about the RFU and rugby's attitude to women and girls than a multi-volume encyclopaedia could manage! I honestly cannot think of any other sport that would be so inept and thoughtless as to launch an official campaign designed to increase player numbers with an image featuring only males playing the sport - and then compound the felony by including a few young women as a sort of decorative adornment, tastefully draped around watching their boyfriends in action, or chatting away admiringly to their man as he recovers from his exertions. I cannot recall seeing anything so overtly and obviously sexist - even misogynistic - since they stopped draping partially clad models over cars at motor shows. It says - no screams - "rugby is a game for men - just you sit there and watch, love". And the rest of the site isn't much better, with no mention on most of its pages of women's or girls' rugby at all. Its also noticeable, incidentally, that everyone in the image is also very white - presumably ethnic minorities need not even bother turning up to watch. There is - unusually actually - no separate RFUW logo, which hopefully means that they were not consulted. Even if RFUW have been involved in discussions about the initiative itself it is inconceivable that they could have approved this without kicking up a huge fuss, otherwise they'd be failing to do their job at a pretty fundamental level. They could do with looking at it - now - and then knocking on some doors (and I know you are reading this, guys - I monitor the these things you know). And this is a huge shame because underneath this positively Freudian imagery is a initiative of real value - indeed (ironically) it has the potential to be of proportionately greater value to the women's game than the men's, because its all about keeping young players playing by building up networks of "Pathfinders" to signpost them in the right direction. Last year you may recall that the RFU ran a "Go Play" campaign designed to get former players back into rugby. While its relevance was a bit limited for us as the only former players we'd want to attract (ie. former mini rugby playing girls aged 12-16) would probably not be an audience readily reached by drink-related scratchcards and beer mat advertising, the RFU are claiming that overall it was a big success. Some of us would like to see a more gender-specific breakdown of the statistics before we are completely convinced, but I suspect we aren't going to get that so we will have to take RFU at their word. Following on from that, the new campaign - "Play on"- is not aimed sozzled old blokes in bars trying to recapture a lost youth. Instead it is targeted squarely at 16-20 year olds wanting to carry on playing rugby. The RFU know that many players are lost of the game after they leave school and suspect that a major factor is that, when they leave home to start a job or got to university or whatever, they find themselves in a new town, not knowing anyone in the local rugby club - or maybe not even knowing where the local club is. While the more cynical amongst us (hi there!) will probably be thinking that the RFU doesn't much faith in the research abilities of young people, fact is that they are at least trying to sort out the problem which deserves some applause. Anyway, a key bit of the site is a database that provides the user with a means of locating their nearest rugby club. Amazingly, given the tone of the rest of the site, this does include a separate search for women's clubs - and it even sort of works. Sort of because it only includes women's clubs, whether of not they have U18 sections. So anyone in North Herts using the site is firmly directed to Hitchin, with no mention of Letchworth - or Welwyn come to that. In fact there is no mention of Saracens or Shelford either (even if you relocate your search to somewhere rather nearer to these illustrious clubs) which maybe indicates some sizable holes in the RFU's database (well, bottomless cavern if they have contrived to miss Europe's most successful women's rugby club off the system!). Despite that it doesn't take much imagination to see how incredibly useful this is to the women's game. The targeted ages are slightly out, but give a minimal tweak this could potential assist in solving our game's two biggest headaches - the loss of players after mini rugby, and the lack of an effective bridge between the girls' and women's game. A slightly realigned campaign and database aimed at a 11-19 audience would be fantastic. So come on RFUW - help the RFU to turn defeat into victory. Let's see if the two of you can't turn a PR disaster into a practical triumph of lasting value to the entire female game. Oh - and if anyone in the Letchworth men's section is reading this... I think you need to put forward the name of a Pathfinder to RFU. As a matter of some priority. A search for men's clubs in this area just comes up with Hitchin too - so don't complain if all the promising young players moving to the area all end up in the hedgehog's embrace. Nice idea this from Ripon Rugby Club. Worth copying, perhaps? So - what I am looking for are any examples of any pictures of you in Letchworth shirts or involved in rugby-related activities in exotic (or unusual) locales over the next few weeks. Practising your passing halfway up a mountain, or proudly wearing your club colours on a sun-kissed beach somewhere. That kind of thing. Submissions to the usual address. Is "blogging" (ie. writing this stuff) the new sport of the internet age? I just ask, based on my reaction to seeing this blog hit the dizzy heights of 24 in the UK Sports Blog chart (up three from last month, and the highest climber in the top 25!). "Yay! ", I thought, followed by "take that snooker!" and "eat dust, F1!" when I checked out who we'd overtaken. But a few months ago I didn't care, so where did all this wild competitiveness come from? Early in the year Mike happened to pass on the news that we'd been placed in the top 100, which was all rather nice and pleasant and just a bit, well, mad really. A few months later idle curiosity revealed that we'd sneaked into the top 80. By the spring it was the top 50, then the 30s... When in June we hit number 26 it seemed worth a proud little logo (see right). But does this mean that writing has become a competitive sport? Will there now be coaching sessions on getting your news in first, working out cunning tactics to get your article in ahead of the competition? Tactically linking to major rivals in the hope that they'll link back? Madness. Rather fun though - and as developments go you do wonder if competitive blogging might make English GCSE ever so slightly more exciting (not a difficult task, one suspects). Why slave away over a critical analysis of Romeo and Juliet when your witty aside on ELVs could get a higher chart position? And who is to say that the ability to produce pithy and quotable one-liners isn't - in fact - a more marketable skill in the 21st century anyway? One other thing the chart reveals is the very narrow sporting interests the UK actually has. Soccer (10 of the top 25), F1 (6), rugby(4), snooker and cricket (2 each) - the UK public really isn't interested in reading about much else. In fact the only other sports that even get into the top 100 are cycling and surfing. And only two of the top 25 are written by professionals - journalists need to look to their laurels, perhaps? Oh - and the only blogs to concentrate on women's or girls' sport in the top 25 are both on rugby. No hockey, no netball, no tennis. Who said this was a minority sport? Technically speaking the 2008/9 season begins today, in as much as any law changes etc. that apply to the new season apply to any games from this point on. As a result we must now, officially, say farewell to our longest-distance commuter - Sasha - who will (we hope, because we want the scheme to succeed) be part of the new Suffolk Sabres county-cluster-team-thing that Vincent has put together, the aim being to give all Suffolk girls regular 15-a-side rugby. Sasha has probably played for more teams in her rugby career than any other player in the history of the game. From Darlington southwards there can be very few clubs whose shirt Sasha has not pulled on at one time or another - if the call ever goes out for a volunteer to fill in for an injury, Sash is always first in the queue, often by knocking everyone else out of the way. Who can forget, for example, how when IE Weldon visited us she contrived to play for every team that played against them during our Canada Day festival? Such is Sasha's determination to play against anyone, any time, any where. However it is my guess that she has actually turned out for Letchworth more than any other team in the past three seasons. Although her primary club has always been Sudbury, fact is that (for whatever reason) Sudbury's fixture list has always been smaller than ours (well, lets be honest, from what I have seen practically every club in the country has a smaller fixture than us!) so Sash has been in the yellow and black in most games and almost every tournament... apart from the one that we won, of course, when she was in the opposition! This has required an incredible loyalty to the team - and it will be interesting to see what happens to the local rail service profits now that Sash will not be using their services quite so much. What is there to say about a legendary player - someone who requires an average of three girls to bring her to the ground (or eight at Reading, going by the picture on the left! ), Sash combined this with an incredible turn of speed - particularly last season when she not only out sprinted many a wing, but on several occasions did so for the length of the field. Her kicking was an underestimated asset - the difference between our being in the National Tens finals in the end, though her "pass" on the try line to Jess in the crucial game against Old Lemingtonians was an example of her generosity of spirit overcoming her common sense. It also came close to giving her father, and her coach, apoplexy. Speaking of medical matters it was perhaps her selfless desire to demonstrate why gumshields are important that may be her greatest legacy - after what we saw at National 7s last season no Letchworth girl will ever take the field without one again!! But, after three years as a Legend, Sash's final junior season will be just another opposition player. Well, not "just" - one of the best - and a major thorn in our side, I expect. For even those who know her best still don't know how to stop her - or will be wanting to keep out of her way if they get the ball.